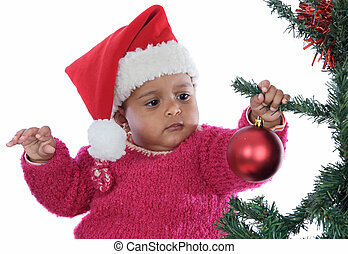 Sweet funny baby boy playing with christmas tree decoration. 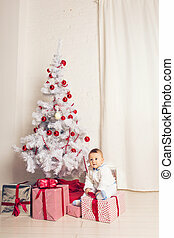 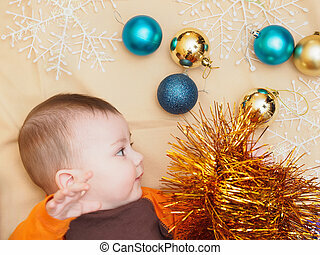 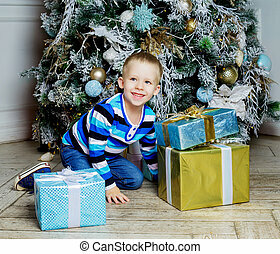 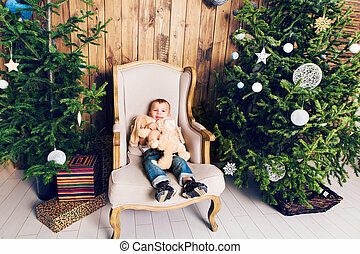 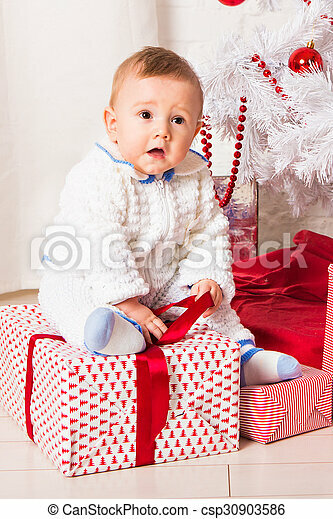 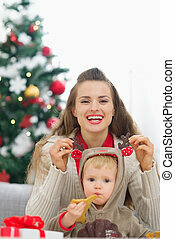 Cheerful little baby boy playing near Christmas tree. 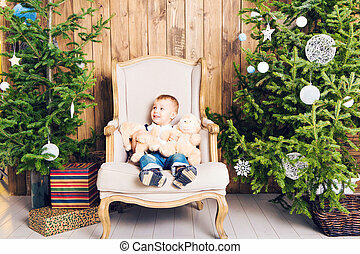 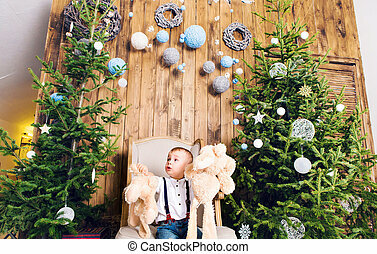 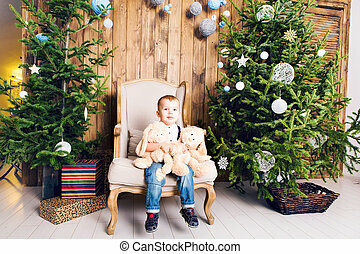 Little baby boy with Decorated Christmas tree indoors. 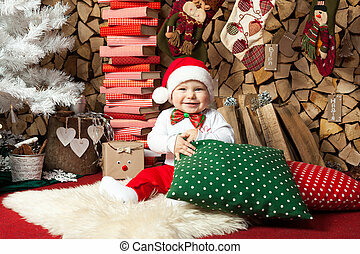 Cheerful little baby boy playing near the Christmas tree. 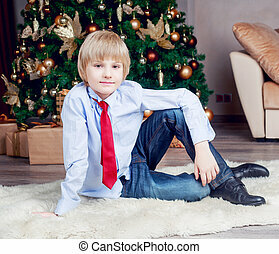 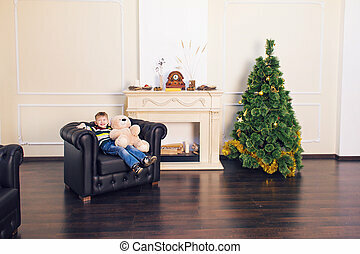 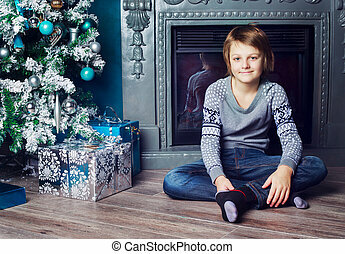 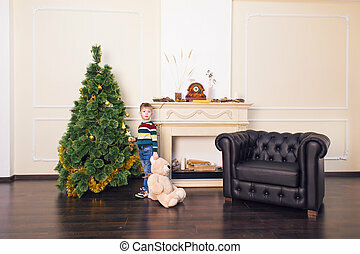 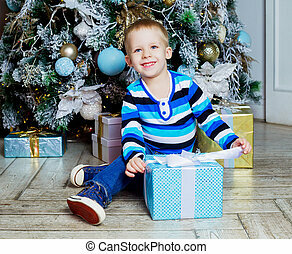 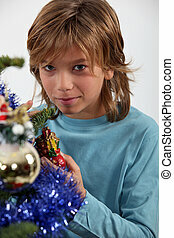 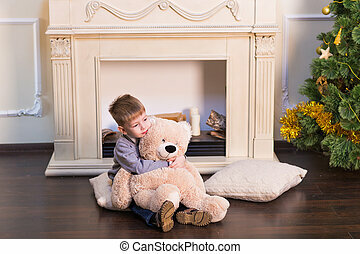 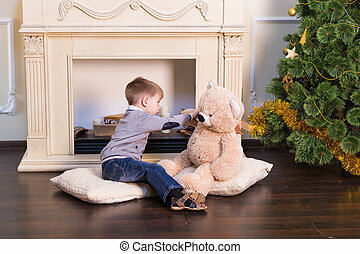 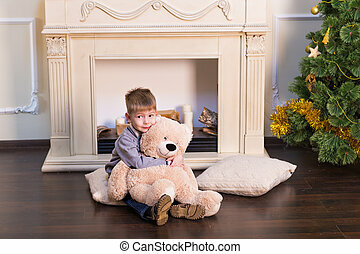 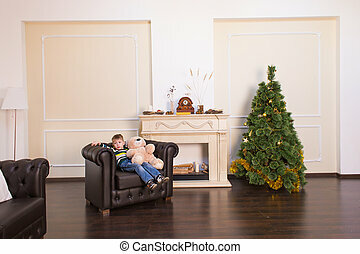 Cheerful little boy playing with his toy by the Christmas tree.